If your team is looking for a summer reading book, check out "Becoming a Trustworthy Leader" by Mishra & Mishra. This book has ideas and stories from leaders and teams that have found ways to overcome obstacles, find common goals, and build trust. DURHAM, N.C. - June 4, 2013 - PRLog -- Summer is a good time for your team to pick up a good book and share ideas that will carry them throughout the year. 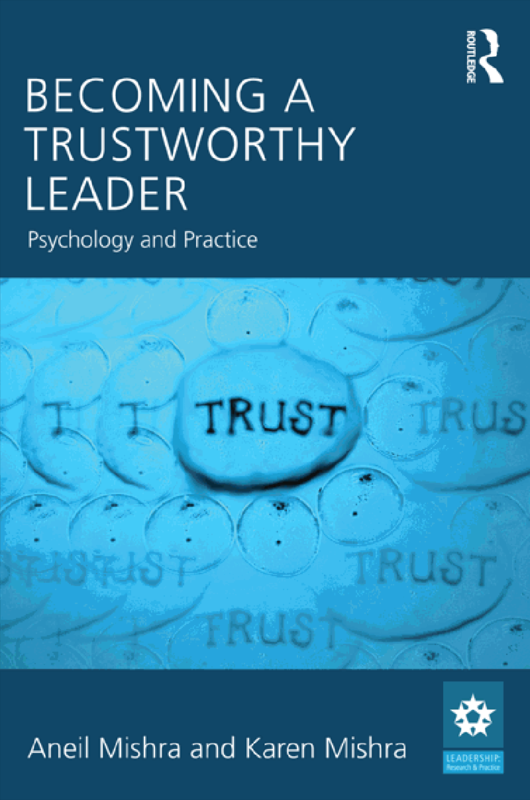 In their new book on trustworthy leadership, Mishra & Mishra (2013) profile leaders, teams and organizations that have made a conscious commitment to acting in ways that build trust with their employees, customers and colleagues. Get the inside scoop from leaders at the Cleveland Clinic, Belfor Restoration, Cardinal Health, Two Men and a Truck, International, Microsoft, and Lenovo on the ways that they build the ROCC of Trust. These leaders share how they have demonstrated reliability, openness & honesty, competence and compassion in the face of downsizing, the recession, cost-cutting, cut-throat competition and even during times of enormous growth. These organizations are respected for their transparency and their authenticity in the way they lead with courage in their respective industries. After studying leadership and trust for over 20 years, these business school professors are experts in building and re-building trust. Aneil is Associate Dean for Academic Affairs in the School of Business at NC Central University in Durham, NC. Karen is an assistant professor in the School of Business at Meredith College in Raleigh, NC. You can read more about their work at www.trustiseverything.com.